Kathy Loghry Blogspot: The Swimsuits of Summer! It seems like it's taking forever for summer to finally get here this year, but it will. 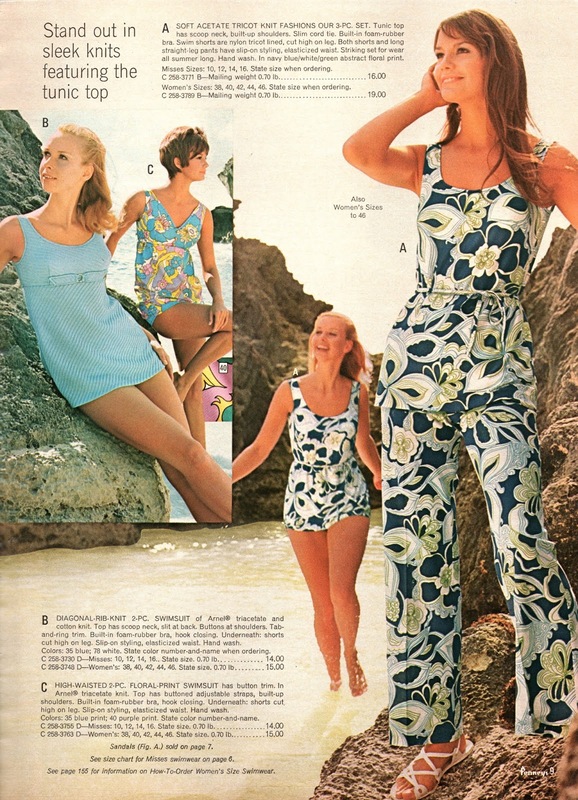 And what goes with summer, why those groovy swimsuits of the 70s!! 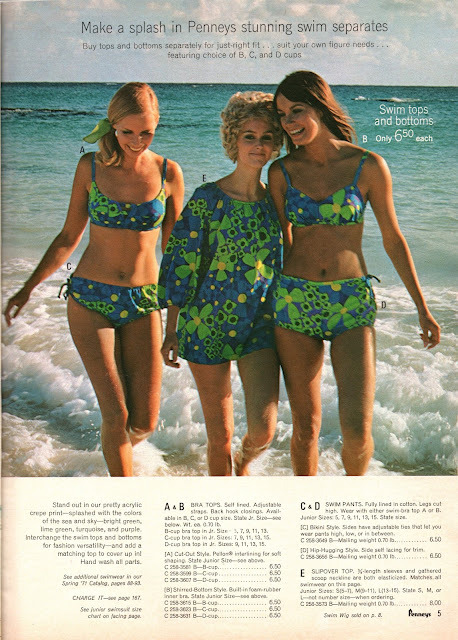 So in honor of 70s swimsuits, let's take a look back to that wonderful year of 1971!! Nice Hat!! Bikini beauties do indeed brighten up any beach!! Ho hum, I'm kinda disappointed in Penneys here. I was expected more, well, more 70s!! Now that's the spirit!! Groovy styles to light up the beaches!! Now I'm ready for summer for sure!! Yep that's what I'm talking about!! Groovy hat, funky 70s swimwuit. She looks like a mermaid that just washed up on shore!! Bring on the hot weather!! How about some swimsuit specials with favorite models? I'd vote for Barbara Elliott and Jayne Modean. Thanks! Okay, Next time I will! So who are the models? Especially with the hat? Actually I don't know any of their names. 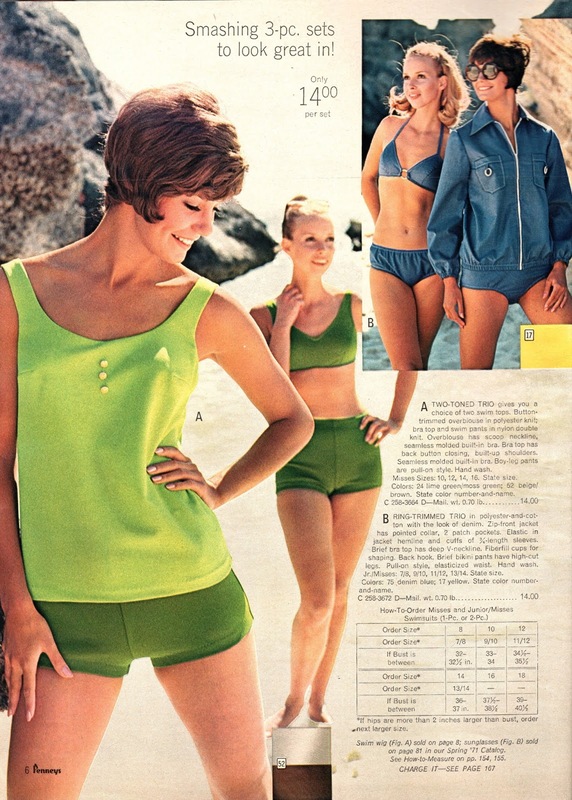 It seems like the a completely crop of models was used in this catalog, not sure why.